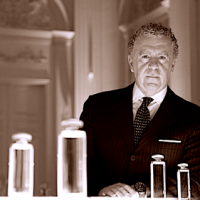 At WHITE, we have a unique understanding of global brands that are synonymous with excellence, elegance and luxury. More than 25 years of experience have given us the expertise it takes to provide consulting services that are as individual and exceptional as your products. Chronicle of a quarter century. A good start. The highlights. Clients & campaigns. Justin Bieber might not be everybody’s cup of tea as a singer, but as a Calvin Klein underwear model he’sa natural. Campaign with a strong online presence. “O, the eye’s light is a noble gift of heaven,” wrote Friedrich Schiller. 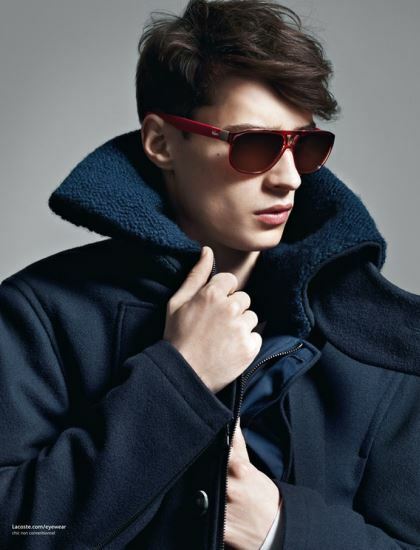 And with RODENSTOCK, we’re moving into the next dimension of divine eyewear. 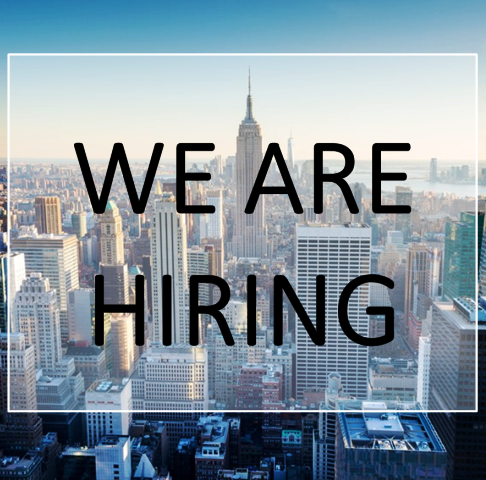 Plus: we open an office on Park Avenue, New York. 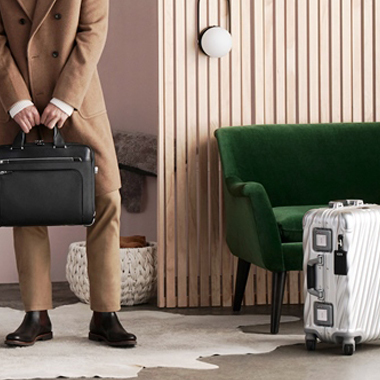 International campaign for RIMOWA, meticulously planned and organised by WHITE. Alessandra Ambrosio is the world’s most beautiful luggage handler. LACOSTE now makes eyewear too. And to make sure it gets seen, they ask WHITE to do the media campaign – because they trust our vision. The new launch from FERRAGAMO is the fragrance of the season. We’re hot on the scent – internally too: the first WHITE Luxury Study is published. 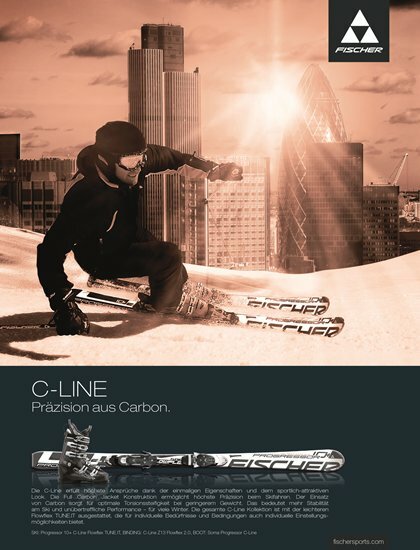 FISCHER SPORTS, wow! 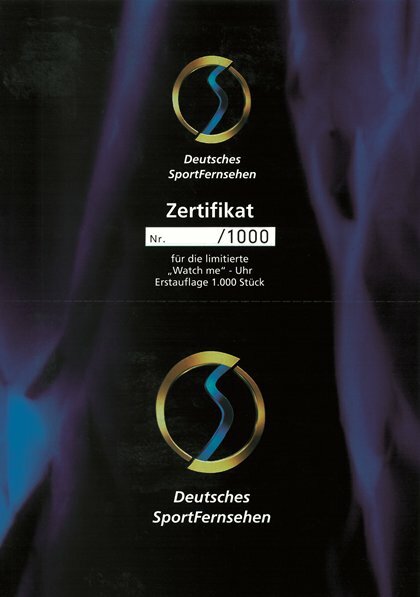 Global market leader for Nordic skiing, one of the biggest manufacturers in the world. WHITE helps launch the premium C-Line. A great year. Pan-European launch with shirt-maker ARROW, PR and media. Everyone is blogging, weblog too: for Luisa Via Roma, the Italian online platform for luxury labels. Organisation of Firenze4Ever, the world’s biggest blogger event. And we move again, this time to Rosenheimer Strasse. 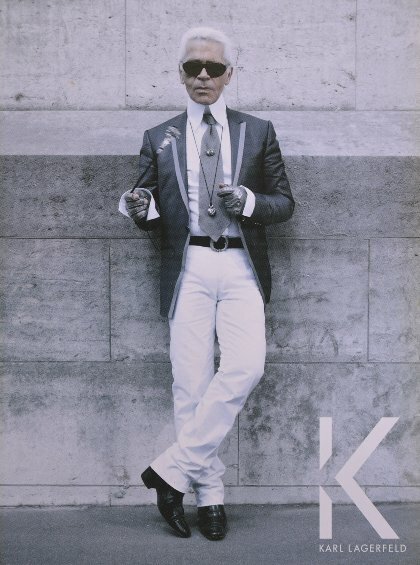 LAGERFELD signs us for his own brand, giving us a tail wind for our international business. Media planning in 11 countries. Always worth a trip, especially when TOMMY HILFIGER calls. We set off with some great consulting and campaign ideas up our sleeve – and are entrusted with the German-speaking market. We rent the Presidential Suite at the Mandarin Oriental for DIOR. 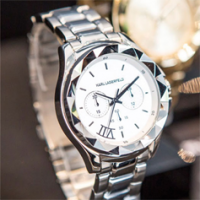 PR for luxury watches, one is named after Marlene Dietrich. Another highlight: Elizabeth Arden comes to us. 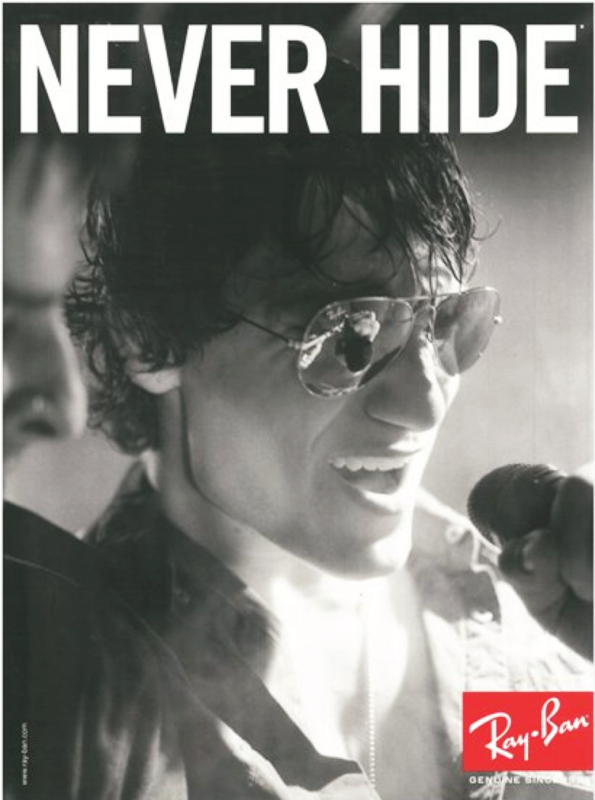 Our PR department gives needy stars a helping hand with RAYBAN sunglasses – a strategy known as “celebrity seeding”. And the WHITE Star Award makes its debut: the first goes to the digital edition of INSTYLE. In for the long run with MIZUNO. 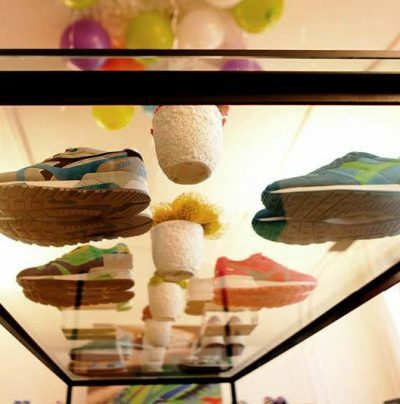 The brand leads the field when it comes to sports footwear and running shoes. We join them in the fast lane, keep pace and are still going strong! 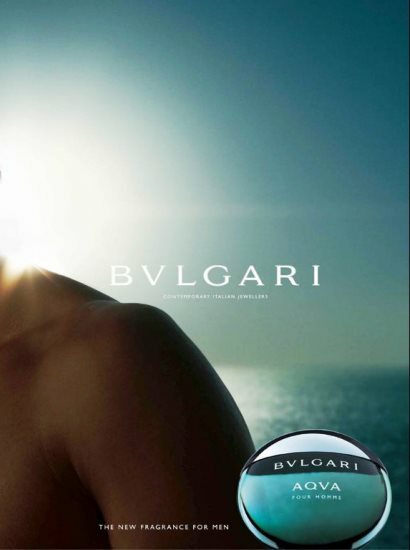 BULGARI’s perfume division definitely hasa nose for a good campaign and asks us to help with the launch of its men’s fragrance Aqua pour homme. 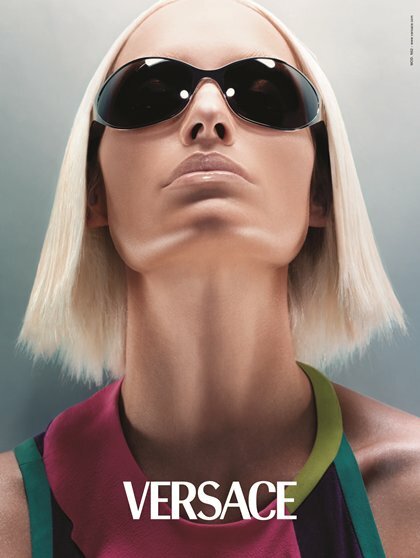 Powerful campaign for VERSACE eyewear. The WHITE agency grows its expertise: for glasses and clarity of vision. BURBERRY, the brand with the pattern, wants to launch a new perfume. Cosmetics too. We run a media campaign. A very successful one. Our entry into the beauty segment. 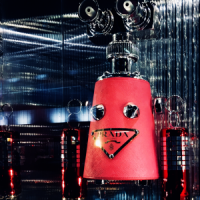 We get to know PRADA, extremely interesting, utterly fascinating. Consulting for the media strategy. 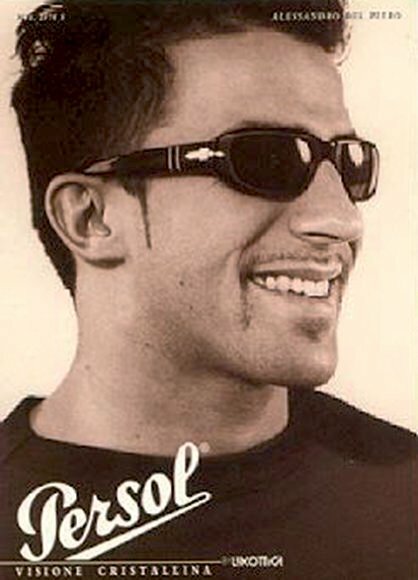 Poster campaign. 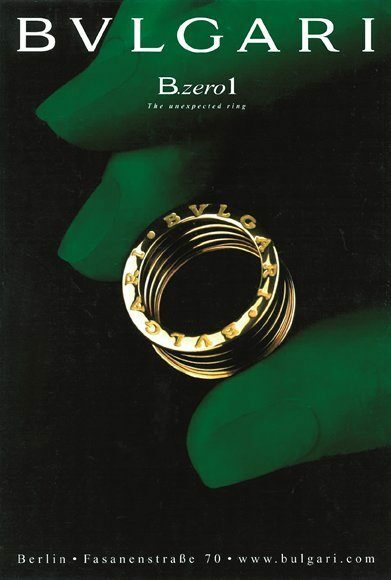 Rupert Wild starts off the new millennium with a campaign for BULGARI jewellery and a wedding ring for Brigitte Nussbaum. Another milestone that we’ll treasure forever: we get together with LUXOTTICA – and our PR division is born. 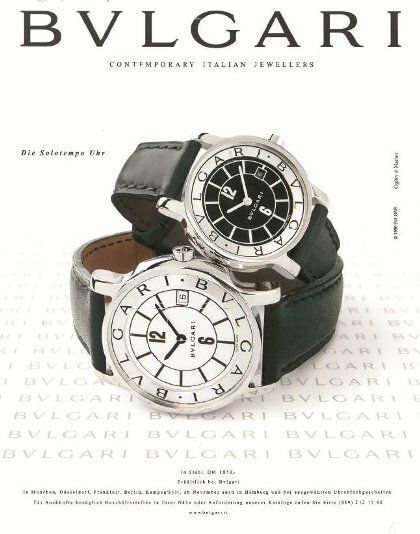 BULGARI, a major milestone. Our entry into the luxury segment. A door opener. Unforgotten. MIZUNO, our first client from Japan, launches a new product: golf clubs. We become friends and still run together today. We advise Burda on the market positioning for ELLE magazine. Our media contacts grow. And so does our expertise. 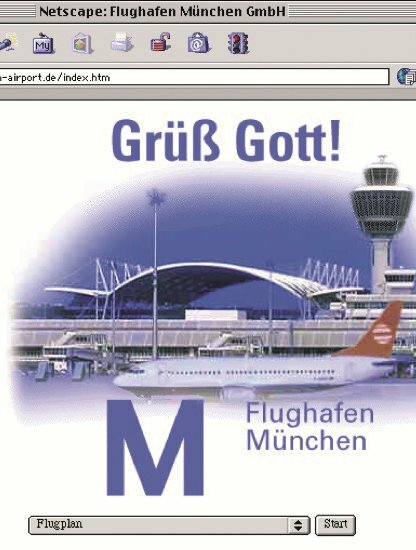 Munich Airport honours us with the job of creating its website. Our first flight in cyberspace. A non-stop route to cloud nine. We found event agency trendhouse. A totally new branch. 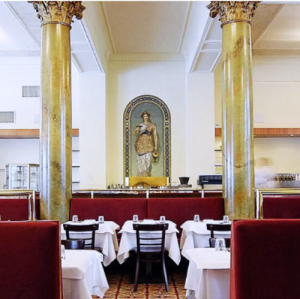 Brigitte Nussbaum takes over – and oversees a boom. 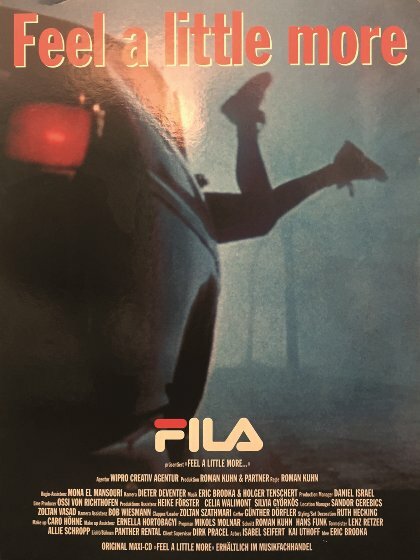 Feel A Little More, our hit for FILA, sung by Eric Brodka. Makes it onto a CD of the world’s best commercial songs and even onto MTV. New Unterföhring-basedsports station DSF launches on cable TV and asks us to create thead campaign. We move to new premises in Lodenfrey-Park. 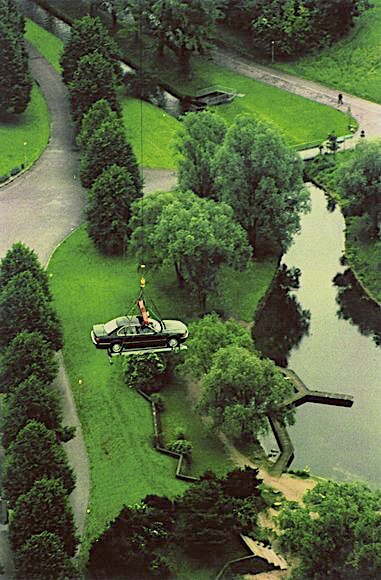 Sauter in Munich. 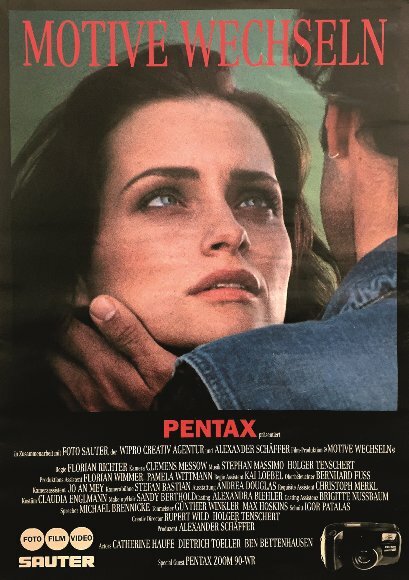 PENTAX signs up with a new camera. Cinema ads. Campaign all over Germany. A good start. TOMMY HILFIGER x RAFAEL NADAL Hello Rafael Nadal! DINNER WITH FOSSIL “Dinner is Served! 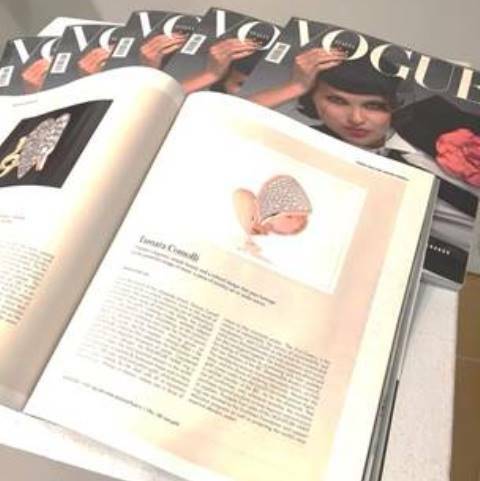 High-quality, elegant, innovative and with a good portion of "savoir vivre" - this is the DNA of Tamara Comolli's jewellery creations. With her inspirations, the designer always crosses boundaries and dares to surprise. 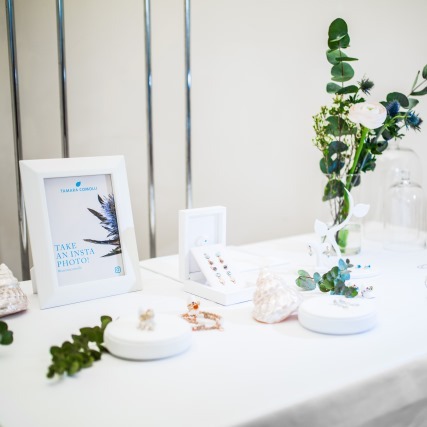 At the end of February, the "Fine Jewelry Label" presented the latest creations of the lifestyle and jewelry trade press at WHITE's "Press Day" in Munich's Prisco Haus. 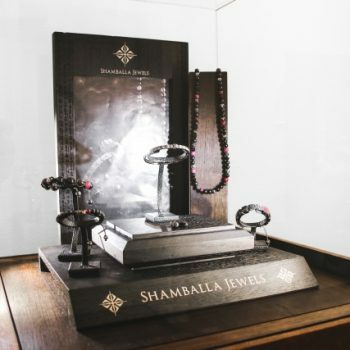 But the designer is also frequently invited internationally to show her jewels at sensational exhibitions. 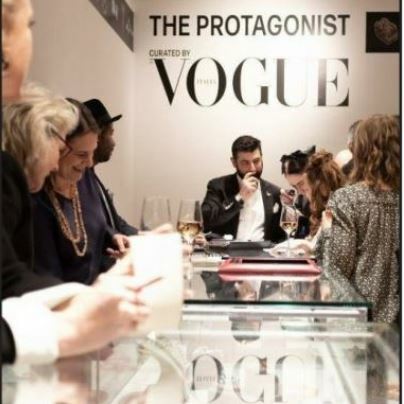 One example is the event curated by the Italian "Vogue" at Christie's auction house, as noted by the 'New York Times', among others. 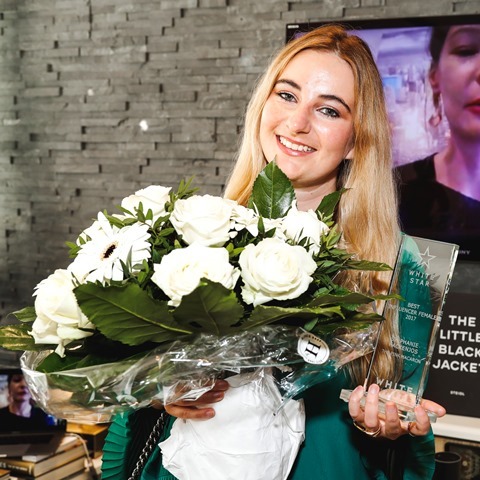 WHITE & Popsockets invited the two influencers antoniaelena.official (Antonia Elena) and marijkesmitt (Marijke Smitt) to give the stylish new smartphone accessory a new individual touch and to design their own popsockets together with WHITE. Mission accomplished. 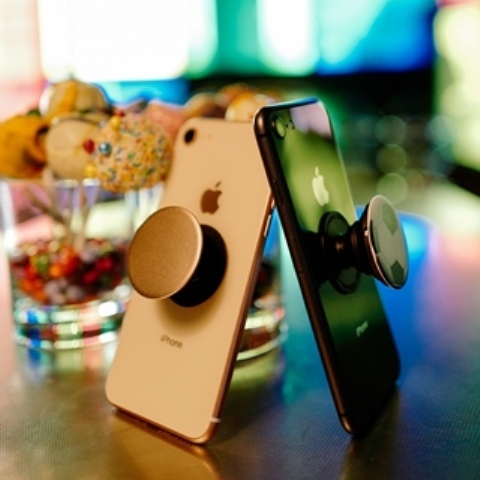 Both influencers have promoted their Popsockets designs on their Instagram account and made their followers aware of it. 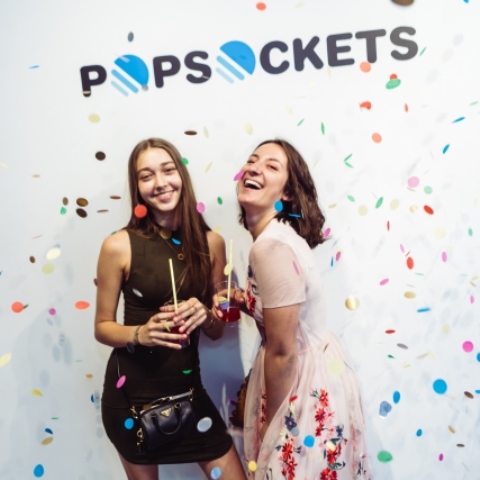 Reward for the creative achievement: a share of the sales revenue of their Popsockets. WHITE starts the ESCADA Spring/Summer Campaign 19 in New York City and Los Angeles with innovative technology. 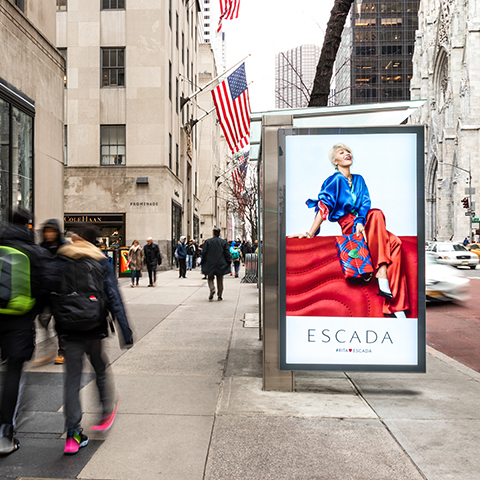 ESCADA presents the imaginative new campaign with pop star Rita Ora on the brand new digital screens on 5th Avenue in New York as well as on prominent screens in Beverly Hills. The out-of-home campaign motifs, which play with oversized accessories and heritage details from ESCADA, reach the target group not only in "Real Life". 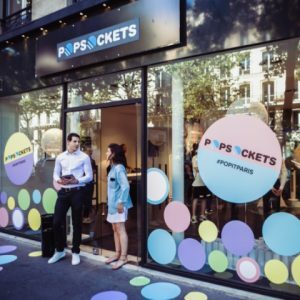 A geofencing technology makes precise mobile retargeting possible - passers-by who are within a certain radius of the areas are addressed again on their smartphones with the same images and call-to-action. It was a spectacular Christmas eye-catcher at an important cultural monument of the Bavarian metropolis. 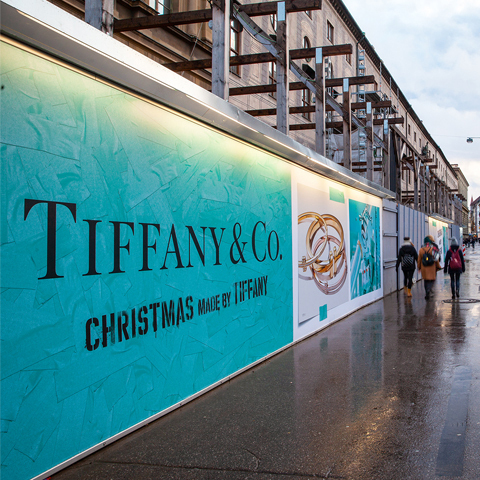 The oversized billboard "Christmas made by Tiffany" not only inspired gift seekers, she also decoratively veiled the construction site at the „Münchner Residenz“. The motif: small robots that lovingly produce jewellery in a futuristic working environment and thus conjure up light in our everyday lives. 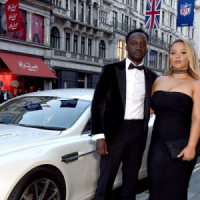 Tommy Hilfiger was omnipresent during the Zurich Film Festival in October. 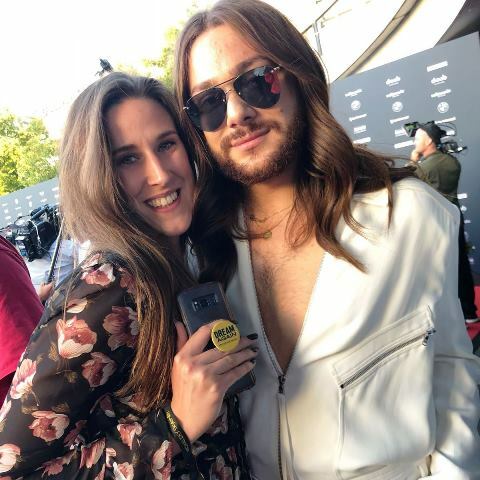 He was not only seen at the event, he was seen also in the city. Behind it was not only the fashion designer's cinematic passion, but also a smart campaign created and coordinated by White with brand ambassador Lewis Hamilton. 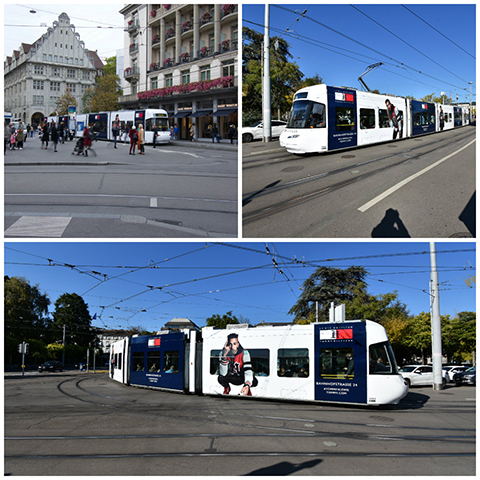 The portrait of the Formula 1 world champion adorned the tram of the Swiss banking city - visible to 3.5 million passers-by. Lewis Hamilton made sure that during the Zurich Film Festival there were not only optical delicacies in the films shown. 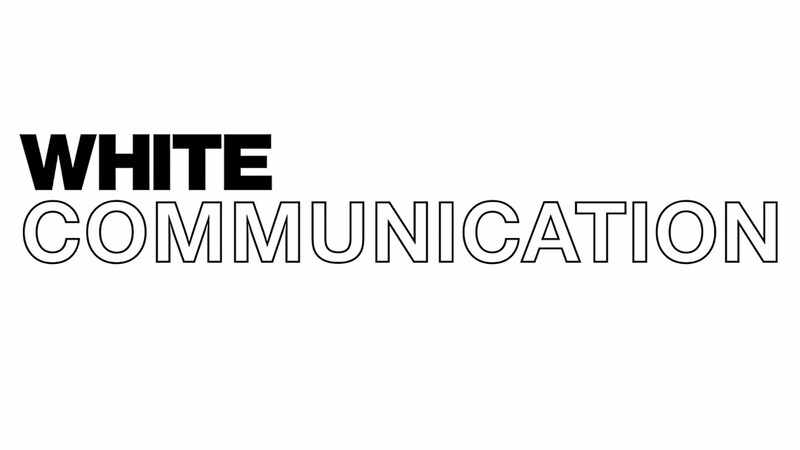 WHITE COMMUNICATIONS is a full-service communications agency for the international premium and luxury goods industry with offices in Munich and New York. 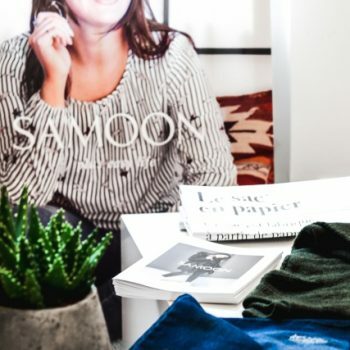 We serve well-known clients from the fashion, beauty and lifestyle segment and offer a comprehensive service in the areas of Public Relations, Influencer Marketing, Media, Digital Campaign Management, Production Services and Consulting. We look forward to your receiving your application indicating the earliest possible start date. Whether a day trip, long haul travel or a business trip - we all need loyal companions to carry our precious possessions safely to their destination. We proudly announce the expansion of our cooperation with our media partner TUMI and welcome the American travel and lifestyle specialist to our PR Unit. In addition to media purchasing and planning, we now support TUMI with our many years of experience in the field of public reltions and event management. Since 1975, TUMI has been developing world class business and lifestyle travel luggage for Global Citizens to enhance, simplify and beautify all aspects of life on the go. The American brand is sold in more than 75 countries worldwide through more than 1,900 points of sale and is known for its diverse and high-quality designs. We look forward to our journey together with TUMI. Pack your bags. We cordially invite you to explore with us the exciting world of the American premium suitcase manufacturer. Enchanted by the sparkle of colorful gems and unique diamonds, we fell in love with the luxurious jewelry of TAMARA COMOLLI. Just in time for the festive season, we are pleased to announce the glamorous brand from Gmund by the beautiful Tegernsee lake, as a new addition to our WHITE portfolio. 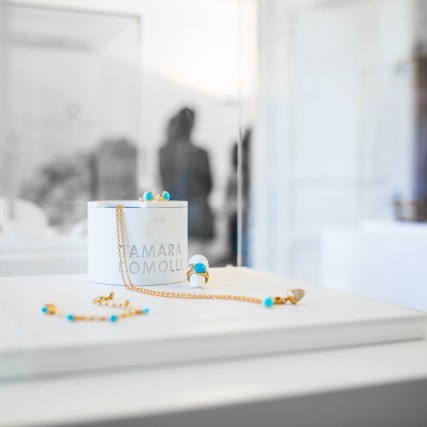 TAMARA COMOLLI, the Fine Jewelry label of the founder of the same name, is now being looked after not only by our media department but also by the PR Unit. 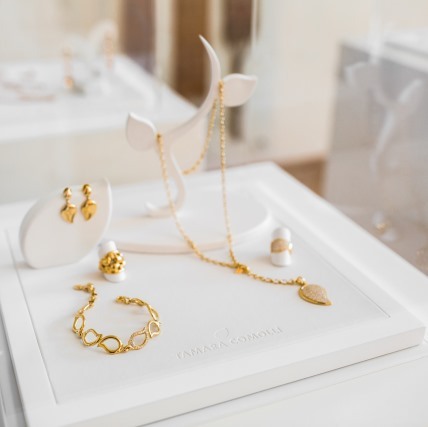 Founded in 1992, TAMARA COMOLLI is the epitome of casual and under-stated luxury in the jewelry world. The loving and at times playful designs as well as the enchanting color combinations of the pieces of jewelery, combine high-quality gold with the finest gemstones and brightest diamonds. We look forward to a sparkling cooperation with TAMARA COMOLLI and invite you to get to know the product variety of the brand. As the warm summer months come to an end, the arrival of autumn means colder days ahead. 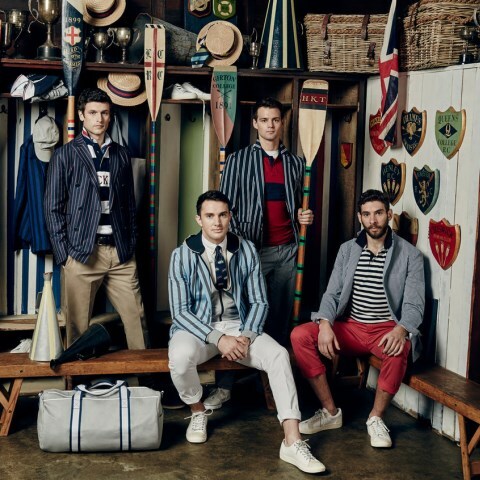 Just in time for the changing seasons, Hackett London launches its first Trend Story - Classics Reinvented. This is a collection of essentials that can be layered together to confidently coordinate texture, colour and warm fabrics in anticipation of the colder days. To add lightness to everyday style choices, our second Trend Story - Country Per Suits - features a carefully crafted selection of rugged and attractive casual cut pieces that celebrate a classic British winter and evoke memories of a trip to the countryside. Fittingly, we at WHITE Communications invited selected editors to a special presentation at the hotel “DAS KRANZBACH”. In the English setting, our guests had the opportunity to take a closer look at the two new collections. 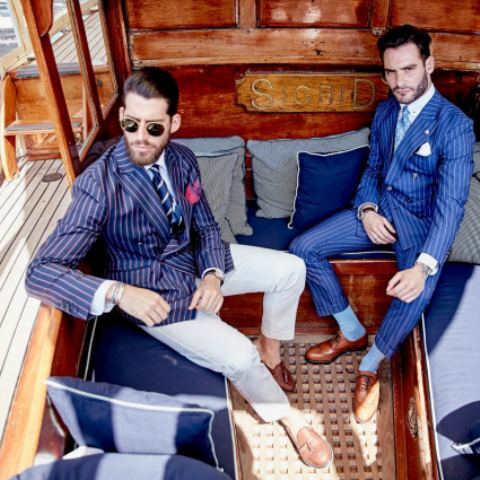 Luxury British menswear brand Hackett London are pleased to announce its continued partnership with Henley Royal Regatta as the ‘Official Clothing Partner’ for the 2018 sporting event. 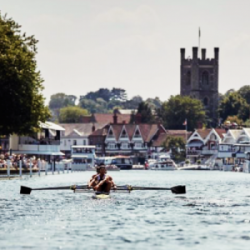 Henley Royal Regatta is one of the world’s most notable and prestigious rowing events, held annually in Henley-­‐on-­‐Thames since it was established in 1839 and this year takes place from 4th – 8th July 2018. 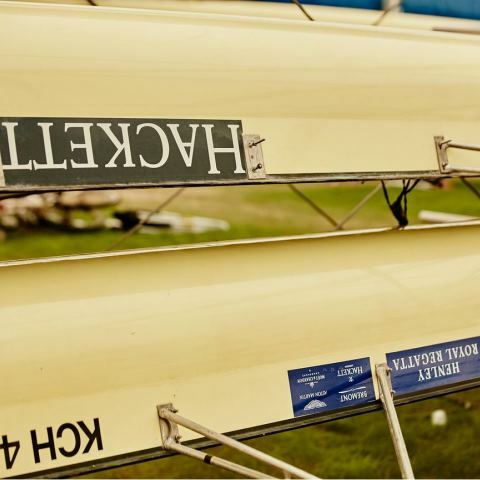 Hackett London has a history of British Sporting associations which in the past has included The Boat Race, the esteemed London Rowing Club and World Sculling for nearly twenty years. 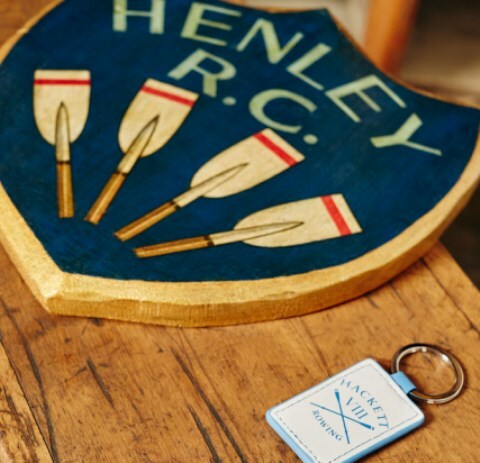 Partnering with Henley Royal Regatta is a natural evolution of the Hackett London portfolio whilst expanding our association offering a wardrobe of essentials for your Henley Royal Regatta weekend. 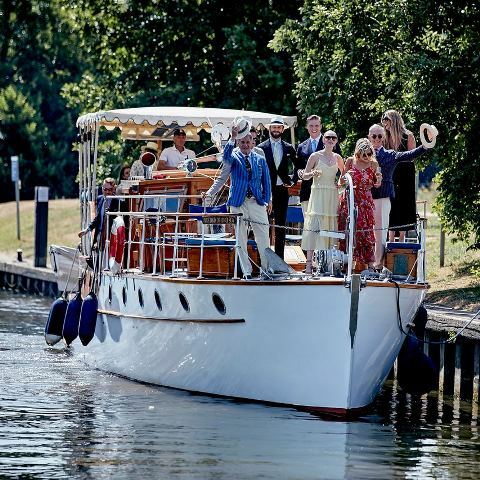 Henley Royal Regatta prides itself on an embedded tradition of maintaining a strict dress code. 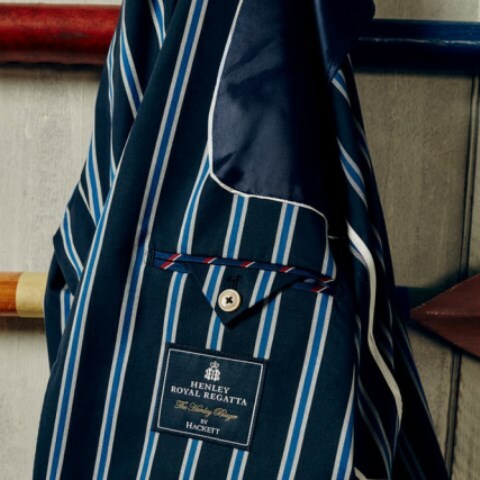 Hackett London adheres to these sartorial requirements by providing attire for the Stewards and official representatives of the Regatta throughout the week as well as a capsule collection for the sporting spectators who flock to Henley-on-Thames in support of their teams. 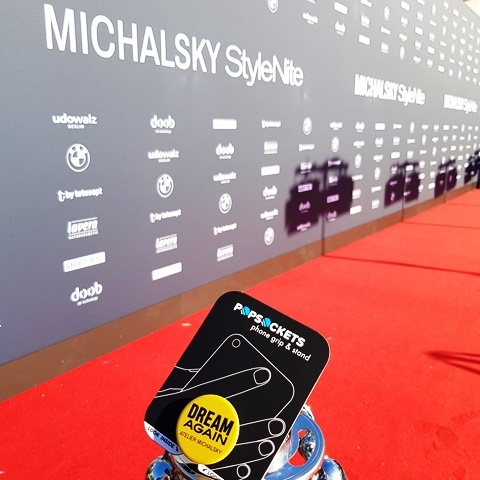 The StyleNite by Michalsky returns to the Tempodrom as the grand finale of the Berlin Fashion Week 2018. 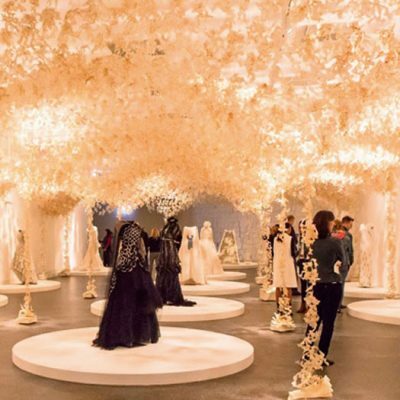 1,500 invited guests were part of the breathtaking, innovative staging of the ATELIER MICHALSKY collection. According to the motto "Dream Again" the unique location offers the perfect setting for the inspiring show. "Dream Again is an invitation to see the positive sides of our lives. A call that people focus on the possibilities again and not put the problems in the foreground, " says Michael Michalsky. 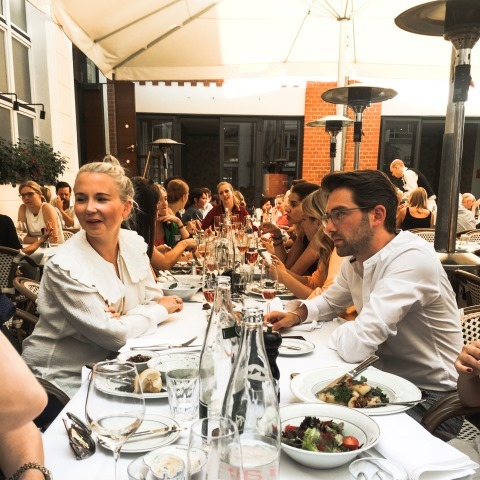 Our WHITE Fashion Lunch during Berlin Fashion Week takes part every year at the Borchardts Restaurant, where we have a relaxed lunch break between the shows with our customers, partners and friends! 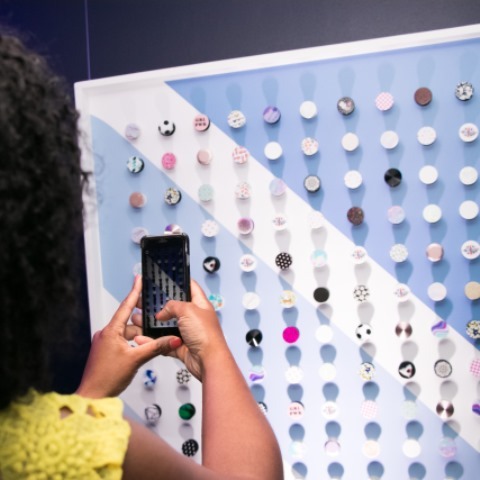 PopSockets is captivating the global market. The cult gadget, which enhances every day handling of smartphones and tablets is attracting more and more people worldwide. 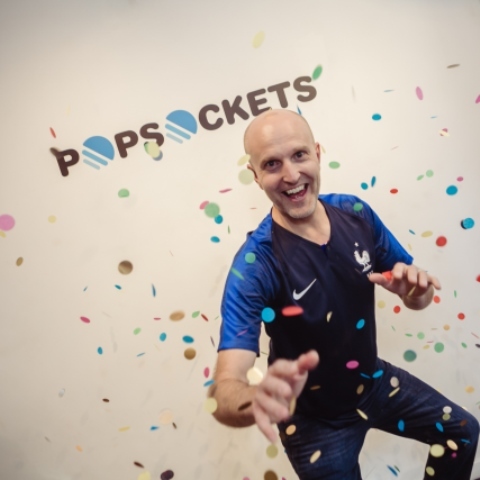 US PopSockets inventor David Barnett now wants to tell his compelling success story in the course of a tour of cities through Europe. This will take the business founder to London on 26th June, on 27th June to Berlin and on 28th June to Paris . Influencers, bloggers, press and PopSocket partners from the respective countries are invited. Each event will be rounded off with a party; with dance-floor filling DJ’s, a product expo and selfie worlds. 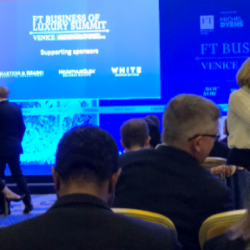 The Summit discussed where next for the industry. How should the traditional houses innovate in order to keep ahead of the industry disruptors and remain competitive in the market... What does the millennial luxury consumer want and how is the way they are shopping changing the face of retail and how is Gen Z impacting the market and media landscape... Co-chaired by the FT's Editor, Lionel Barber and Fashion Editor, Jo Ellison the Summit brought together leading executives from the industry, innovators and financiers to debate the latest changes in the luxury narrative and what lies ahead. Always a pleasure for us to be a supporting partner! 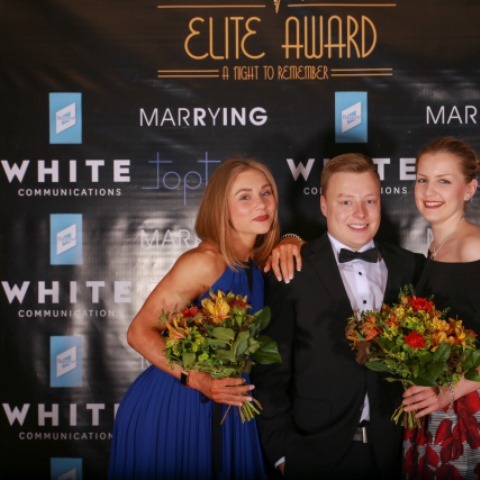 „A night to remember" according to this slogan the "Elite Awards 2018" were awarded in Munich. 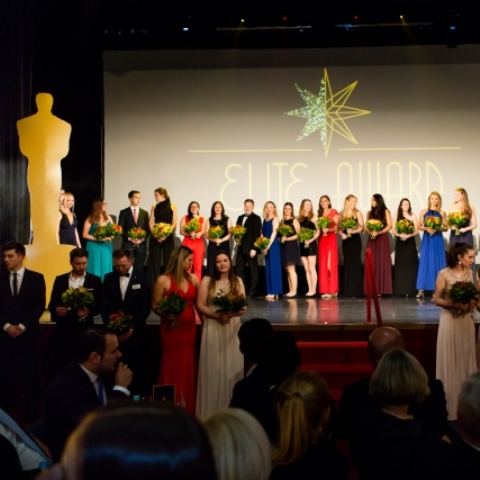 The Oscar-Gala for students took place on 15 May 2018 at the GOP Varieté-Theater. Campus M21 named the best Semester as follows: the best practical projects, thesis, best of Semester and Charity-Projectes. 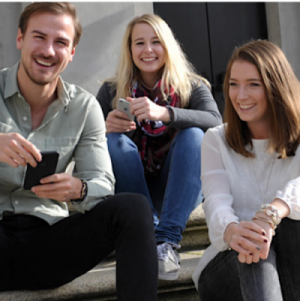 The event was planned and realized by fourth semesters: Sport-, Event- und Media management. As long-time Partner of Campus M21 WHITE Communications supports this unforgettable night. 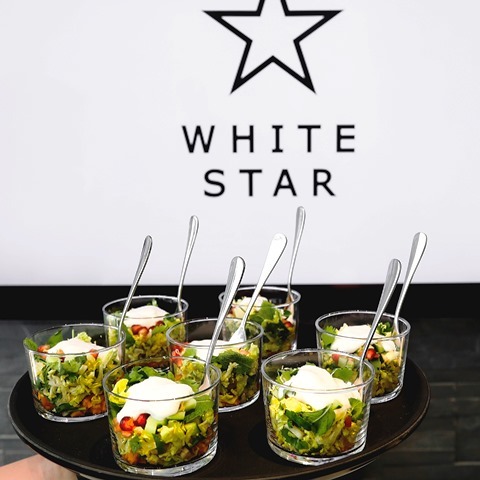 Because saying thank you is important: WHITE Communications presents the WHITE STAR AWARD for outstanding day-to-day teamwork for the 12th time. Criticism is essential. Especially when something isn’t going well. Then it’s a case of addressing the problems, eliminating the source of trouble and doing it better next time. But what about when things are going really well and there’s even a friendly face behind the successful efforts? “Extraordinary results are due to an extraordinary performance – and therefore extraordinary people. 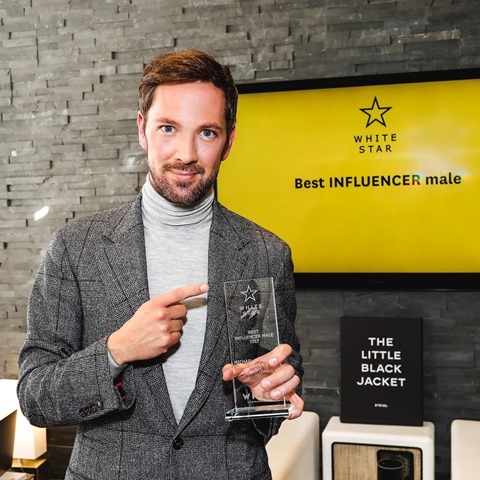 For WHITE, they’re the bright stars in our day-to-day collaboration – our WHITE STARS,” says founder and CEO of WHITE Rupert Wild. 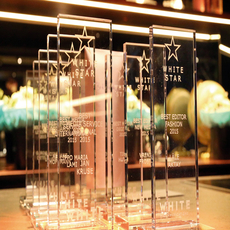 That’s why, since 2006, White Communications has been presenting the WHITE STAR AWARD to selected partners, journalists, members of staff and PR & media professionals in recognition of their expertise and team spirit. And in mid-May, the time had come for the latest round of awards. 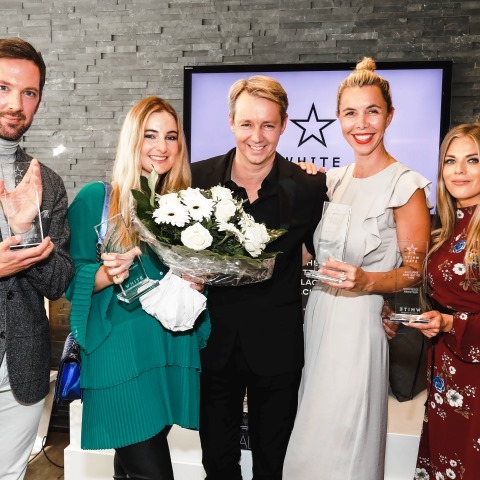 For the 12th time, Rupert Wild issued an invitation to the WHITE STAR AWARD ceremony at the agency’s premises. “Honouring the professional example you set and saying thank you in proper style is something that really matters to us,” said Rupert Wild. “Success is always the work of humans. And for us, that conviction plays an essential role in establishing a corporate culture of professionals.” That’s why the award winners were personally honoured by the same members of WHITE’s staff that they share such a trust-based, constructive working relationship with. Luxury is never boring! 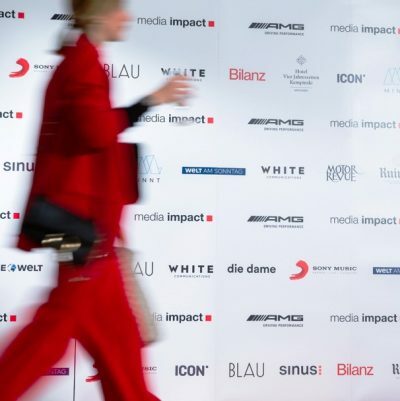 Especially not when the top ranks of the publications Bilanz, Blau, Die Dame, ICON and Welt come together for the Luxury Conference in Munich. Just in case you hadn’t noticed – all the above titles belong to the Axel Springer publishing group. 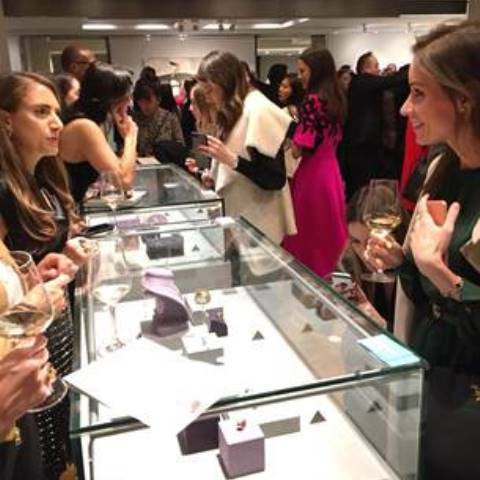 Watches and jewellery are a particularly reliable barometer for how the upscale economy is doing – which is why they were the focus of the event. 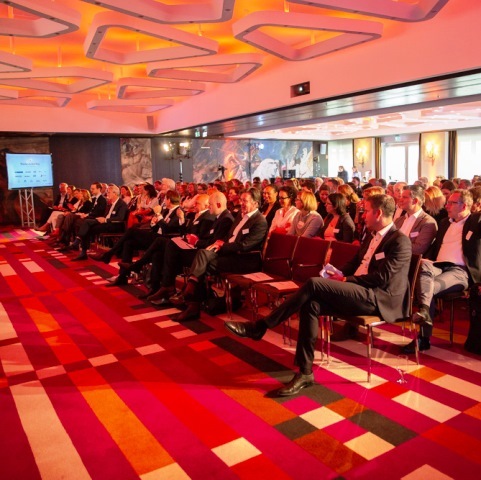 And as if that wasn’t enough, expert Serge Hoffmann from Bain & Company put forward some provocative hypotheses that fuelled some lively discussions and influencers shared their perspective with the well-informed audience. WHITE Communications promoted the dialogue and supported the get-together in the form of a partnership. 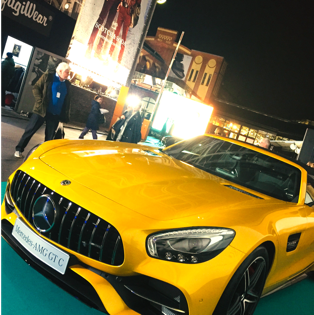 Once again, the press day that WHITE organised in Munich at the end of April proved to be a popular rendezvous for the media and brands. 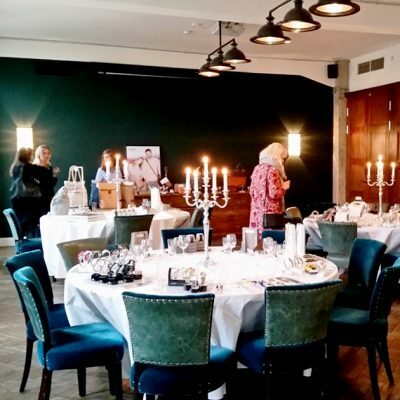 In a stylish atmosphere, numerous lifestyle editors and stylists came to seek inspiration from the latest collections by Gerry Weber, Taifun, Samoon, Talk About and the trendy Diadora, Shamballa and Emmaljunga brands. Join us in transforming peoples lives and their communities! WHITE Communications has been a full-service communications agency for the international premium and luxury goods industry for 25 years and has locations in both Munich/Germany and New York/USA. We serve prominent clients from the fashion, beauty and lifestyle segments. 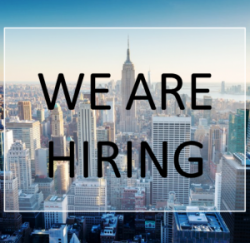 Right now, we have an exciting opportunity for you to join our team as a Public Relations Consultant. A photo today, a story tomorrow or a video the day after that. 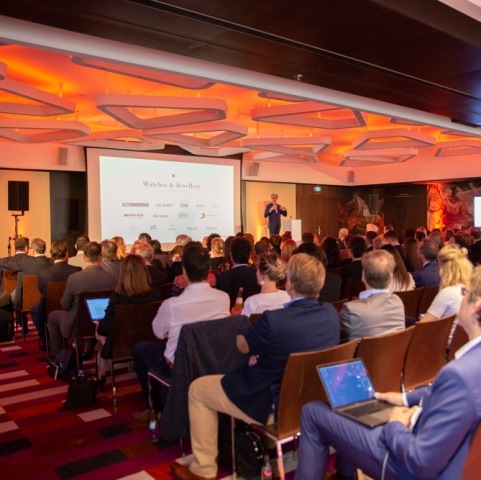 According to the authors of Influencer Marketing in the DACH Region: Market Structure, Size and Future Outlook, a study by consulting and research group Goldmedia, using input from influencers to steer corporate and brand messages has established itself as a valuable marketing tool. The experts analysed 30,000 German-speaking digital opinion leaders (with 10,000+ followers), who generated sales amounting to €560 million last year. 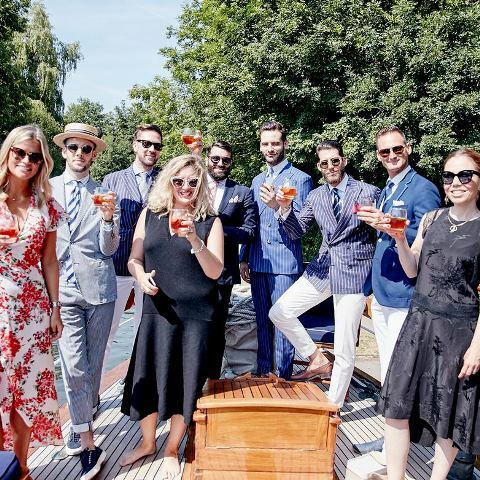 The consulting and research group predicts that revenues from the influencers on YouTube, Facebook, Instagram & Co. will continue to rise, with the sales volume increasing to €990 million in the DACH markets by 2020. We at WHITE live and breathe social media – from scouting and planning to reporting. 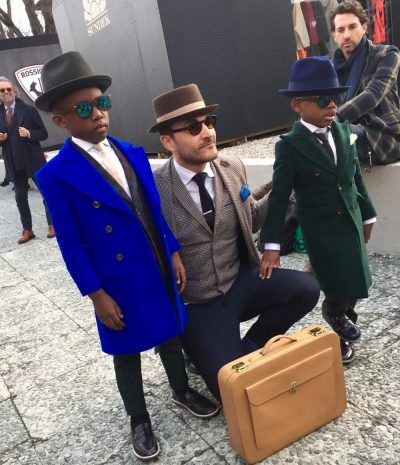 We create your bespoke influencer campaign. 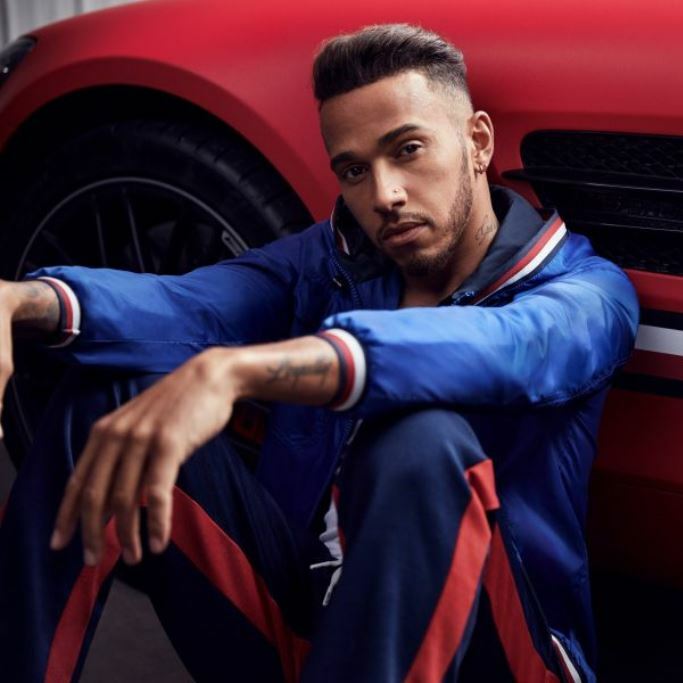 Shortly after Tommy Hilfiger announced its partnership with Mercedes-AMG Petronas Motorsports, Lewis Hamilton has been revealed as the new face of Tommy Hilfiger Men worldwide! The racing driver joins supermodel Gigi Hadid as global ambassador for the American label. 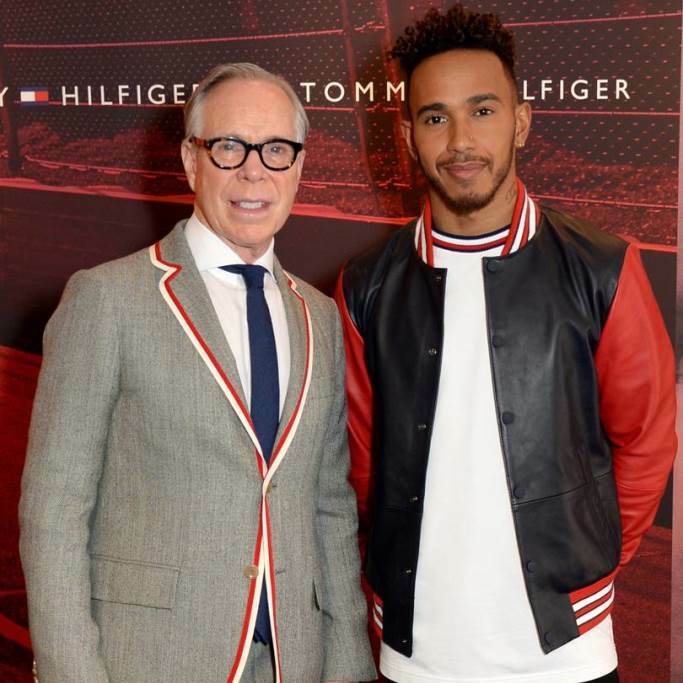 “I have always admired Lewis’ incredible endurance during the race, as well as his unique style off the track, which speak to a new generation,” said Tommy Hilfiger, adding “He has built his career with passion, dedication and extremely hard work – values that I embraced when founding my brand. We have a history and a strong relation with Formula One, and with the world of motor sport in general”. Lewis Hamilton said his fans: “I believe in the power of fashion and innovation to celebrate individuality and break conventions, like Tommy Hilfiger”. “Tommy’s designs inspire me to be bold in every outfit that I put together outside of the racing track, expressing my creativity and eclectic style with confidence.” The campaign was photographed by Mikael Jansson at the famous Pocono Raceway, also known as the Tricky Triangle, in Pennsylvania. A box office hit and a success story on stage too. 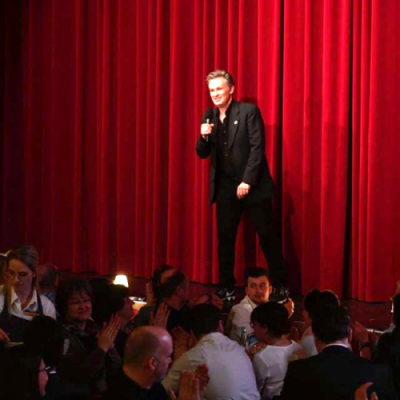 The 400. performance of the theatrical adaption of THE INTOUCHABLES was definitely something special: Timothy Peach was able to secure the GOP Varieté Theater in Munich for a Charity Gala. 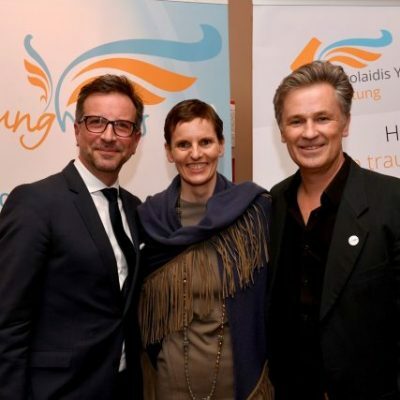 On March 12th the actor and his colleagues brought the popular comedy on stage, in favor of the Nicolaidis YoungWings foundation, which supports nationwide children and youngsters who have lost a parent. 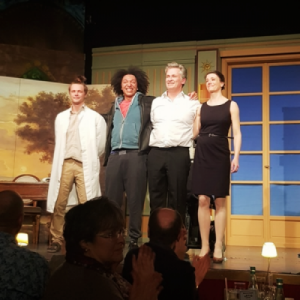 A wonderful performance and a successful evening for an important purpose. WHITE was there and is proud to support a great institution like the Nicolaidis YoungWings foundation. WHITE is currently powering the "Our Family #MyCalvins" campaign by US label Calvin Klein. 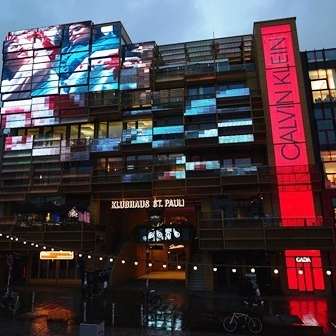 The 500 sqm media wall of Klubhaus St. Pauli Hamburg serves as an outsized animated screen. The promotion at this exclusive location will achieve a reach of 5 million people. “Whether you’re related or you bond over shared dreams, family is what you make it. A patchwork of individuals, unified and unbreakable. That’s our family”, is the current campaign’s message on Calvin Klein’s website. The focus is on prominent families like those of Solange Knowles and A$AP Mob. Willy Vanderperre was signed up to photograph the latest shoot, and shines a spotlight on Kris Jenner’s clan in all their glory. Just like everyone else, the sisters are wearing clothes that resemble the iconic underwear of the 1990s: bras, tank tops and boy-shorts, all with CK’s black or white logo, plus denim items by 205W39NYC. “We’re definitely a modern family”, Kourtney Kardashian told Vogue. Calvin Klein published the fourth part of its advertising campaign “ Our Family #MyCalvins” in mid-February. Gigi in the pole position: Tommy Hilfiger and Gigi Hadid closed out Milan Fashion Week on Sunday 25th. with their DRIVE collection. In addition to the recently announced partnership with Mercedes AMG Petronas Motorsport, "the show celebrates our new collaboration with Mercedes, marking a whole new chapter for TommyNow," says Tommy Hilfiger.Tommy is in the race. 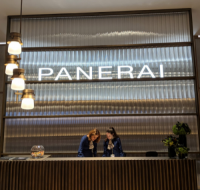 Amazing experience during Salon international de la Haute Horlogerie (SIHH 2018), supporting Officine Panerai in the new space, created from Patricia Urquiola for the iconic brand. Such a great organization, participants and products! 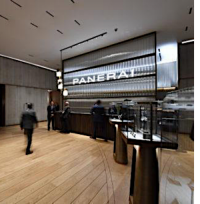 Please check www.panerainovelties.com to discover the innovated models presented in Geneve last week. 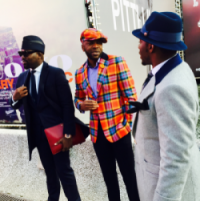 The attendance figures for the Pitti Immagine Uomo 93 were certainly positive: this year, the event attracted over 600 more visitors than the previous year. That represents an increase of 2.5%. 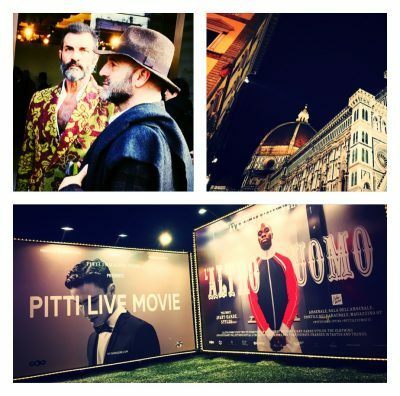 Raffaello Napoleone, CEO of Pitti Immagine: “It was a very positive result in terms of the figures.” In particular, there was an increase in the number of visitors from abroad. 9,200 foreign guests made the pilgrimage to Florence. Russian visitors accounted for the biggest percentage increase (+ 31%), followed by guests from the Netherlands (+ 15%) and South Korea (+ 14%). The four-day event also met with a great response from the media. 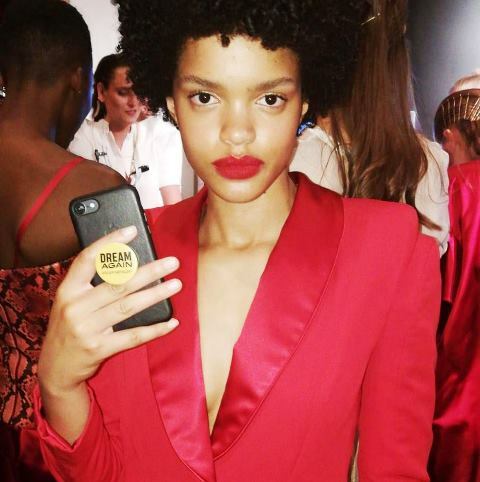 According to the organiser, almost 3,000 journalists, fashion editors and influencers were accredited to cover the show. There were more than 3 million posts about or from the fashion fair on Instagram alone. 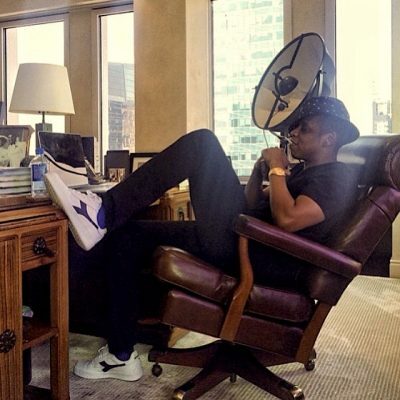 With his feet up on the table, Beyonce’s husband Jay-Z shows what he likes: Diadora shoes. 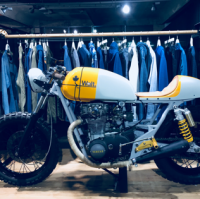 Founded in 1948, the Veneto-based company originally specialised in climbing boots, switched to sports footwear in the 1960s and has set new standards in modern sport marketing. 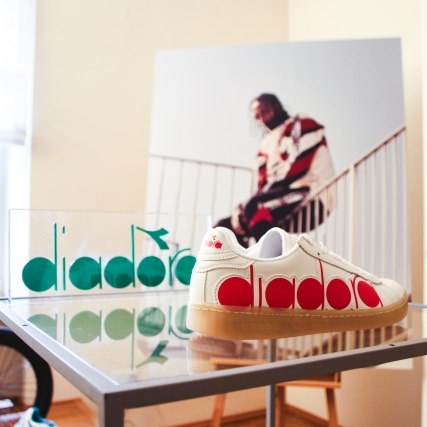 Today it is the Italian sneaker brand and a globally established fashion label. Anybody can present an award. This one here, however, presented to several winners for the 10th time this year, is pretty unique on account of its splendid two-fold ambiguity. Firstly, there’s the name: is it a white star shiningon the event and the award-winners? Or a trophy from WHITE presented to the stars of the industry? Or both? And then there’s the charming custom of honouring not just the outstanding creative achievements and collegial support of our clients and partners, but exceptional performances in our own ranks as well. Which would seem to suggest the company takes its staff just as seriously as its clients. 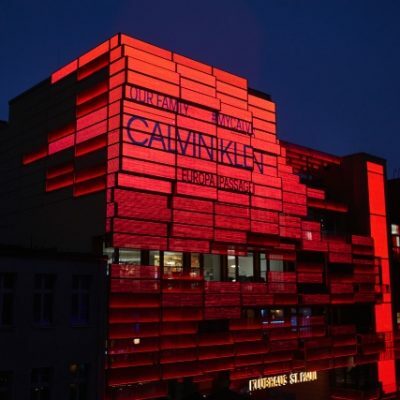 “Data,” says the private university in Munich, “is the oil of the 21st century.” A nice aphorism. 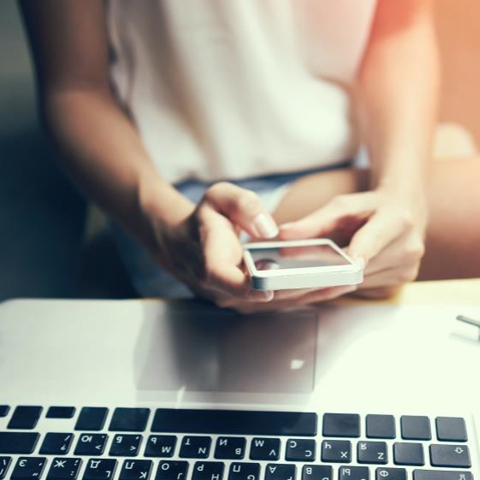 According to the European Commission, digital competence will be required for 90 percent of all job vacancies by 2020. So it looks as if the students who are embarking on a Bachelor’s in Digital Business Management in the first semester 2016/17 are in with a very good chance. Experts and executives from a wide range of different companies were involved with the development of the practice-oriented course. The French cosmetics brand specialises in highly effective anti-aging solutions and promises rejuvenation at the speed of light. At a press lunch organised by WHITE and held in Munich’s light-flooded Hotel Bavaria, it turned out that they’re not exaggerating. 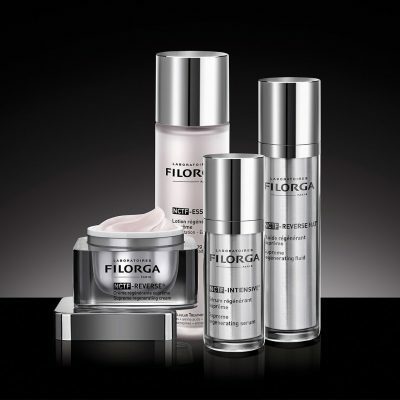 The guests from the media, most of them ladies, fell in love with Filorga’s new Skin Absolute Day cream at record speed. 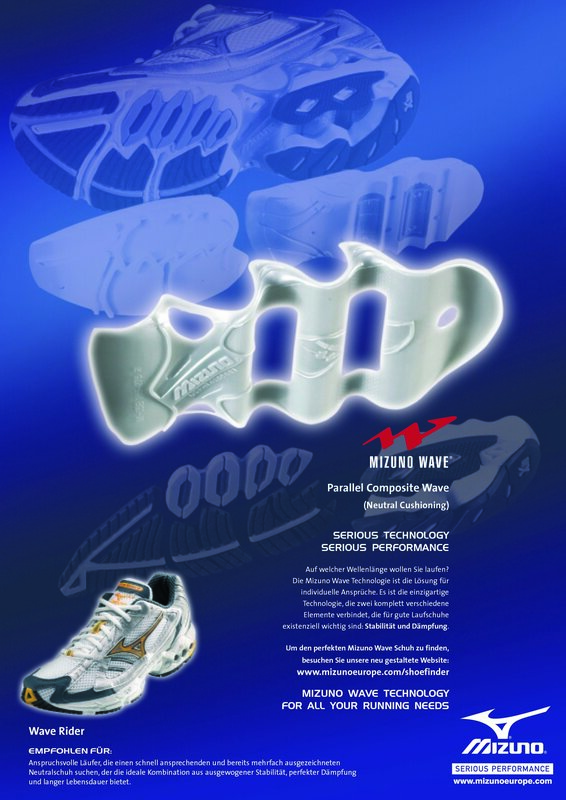 The most popular running shoe from the Japanese sports specialist goes by the name of Wave Rider. 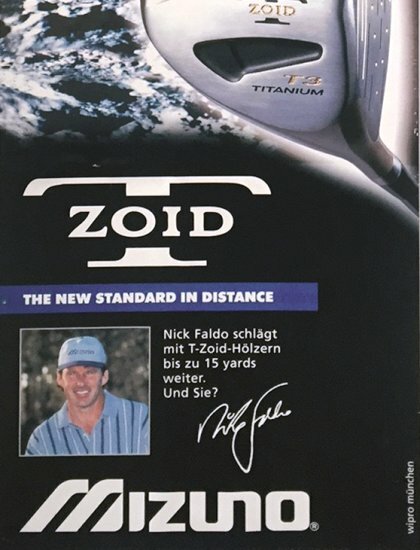 It is now in its 19th edition –and the unique combination of lightness, dynamism and optimal cushioning has been taken to new heights. 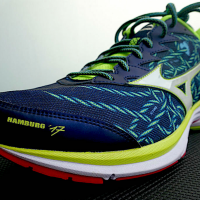 At the 2016 HASPA Marathon in Hamburg – the 30th event since the competition was founded and, withsome 25,000 runners, the biggest spring race of its kind in Germany – MIZUNO was at the starting line as a sponsor. And the Wave Rider received a special honour in the form of a special edition. 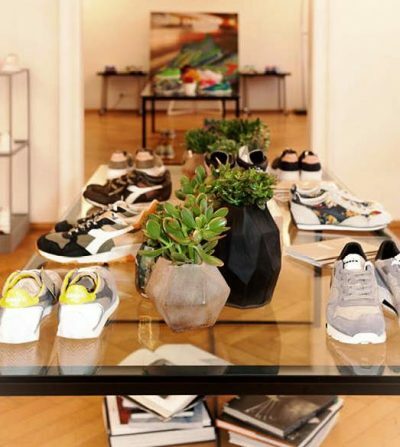 The second German store (after Cologne) has now opened in Munich. At the Viktualienmarkt, Rosental 7, Sabon’s pretty, romantic-looking feel-good store concept invites customers to experience its captivating fragrances and embark on a journey through its natural production processes. 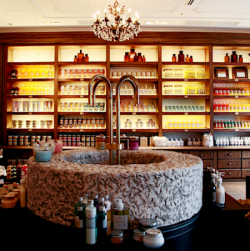 At the hand-crafted wishing well in the middle of the store, visitors can try various skincare rituals with body scrub, shower oil and body lotion. It’s got to be pretty unique for a luxury product not to be modified or adapted to changing tastes once in 38 years. But now it’s happened: the famous sunglasses from 1978 have been reinterpreted – for the first time – in the form of tiny details. 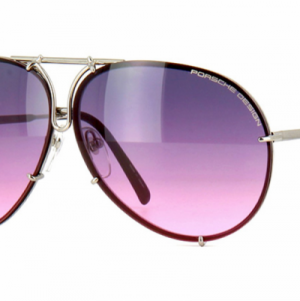 The P’8478 sunglasses have become P’8678. With more than nine million pairs sold, they will always be a unique style icon. It’s hard to think of any other model that has struck such a chord. They’re a familiar sight all over the world – and you don’t need glasses to recognise them. 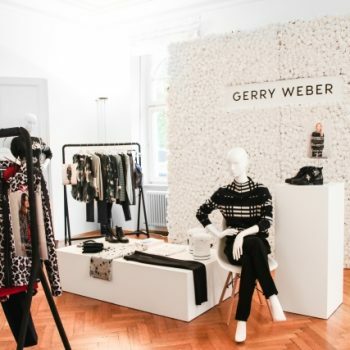 During the Karl Lagerfeld exhibition MODEMETHODE, WHITE organised an exclusive bloggers event at the Kunsthalle in Bonn. 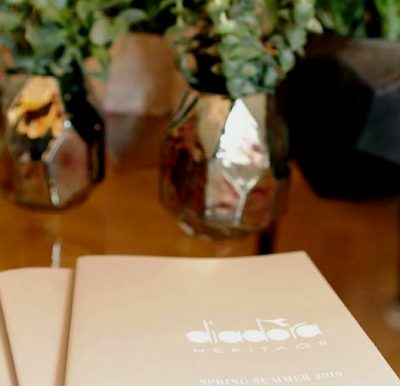 Guests were able to admire the world-famous designer’s watch collection and find out all about the “fashion method” that gave the exhibition its name during a special guided tour. 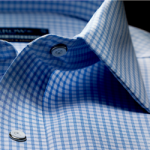 Fashion can cut as many capers as it likes, but it will never take the shirt off a man’s back. Although if it’s too tight, he might want to take it off himself. 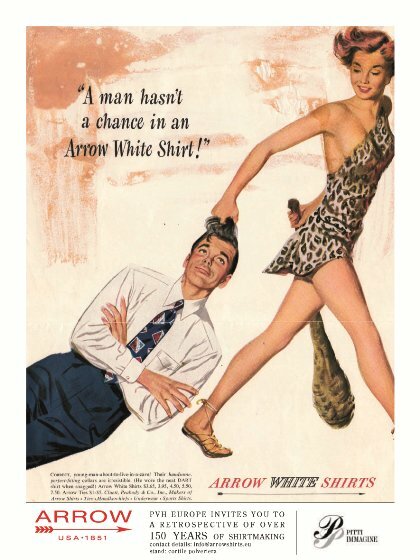 Which explains why the famous American shirt tailor recently launched the most body-friendly Arrow shirt of all time: it doesn’t have a single seam or stitch.The whole thing is sewn out of a single piece of fabric and is totally wrinkle-free. The Superluxe Stitchless Shirt is so comfortable it’s almost like a second skin. 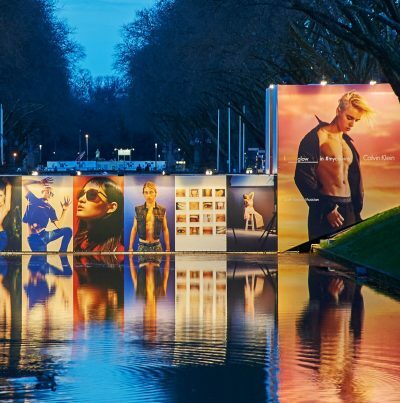 In the immediate vicinity of Königsallee, the Düsseldorf boulevard that 11,000 passers-by stroll down every hour, the campaign WHITE designed and implemented for the American fashion label set new standards. Approx. 970 square metres of advertising space on the bridge: that in itself must be some kind of record. 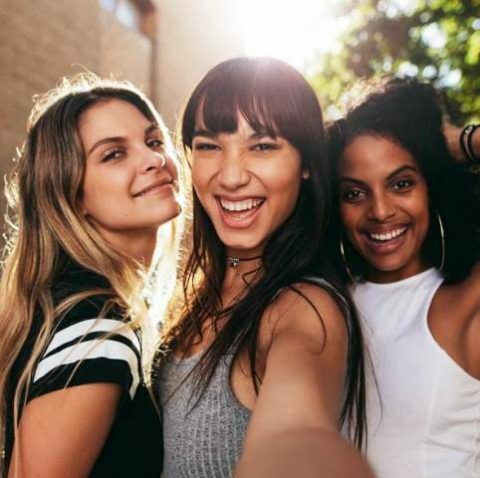 Add the two larger than-life testimonials Justin Bieber and Kendall Jenner and you create a social media buzz in a league of its own. 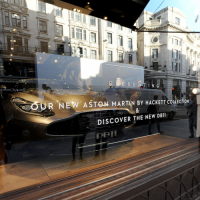 Hackett’s long-standing relationship with Aston Martin, one of Britain’s most renowned automobile companies, reaches new heights for Autumn/Winter 2016. 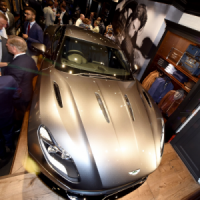 In line with the reveal of Aston Martin’s highly anticipated DB11, Hackett launched an exclusive capsule collection entitled Aston Martin by Hackett. The luxurious 14-piece Aston Martin by Hackett collection includes outerwear, knitwear, shirts, trousers and accessorises. 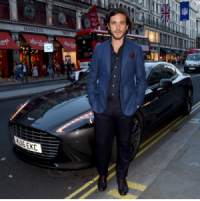 Reflecting on the quintessentially British brand values of both Hackett London and Aston Martin, the new collection is innovative, luxurious and the epitome of style. 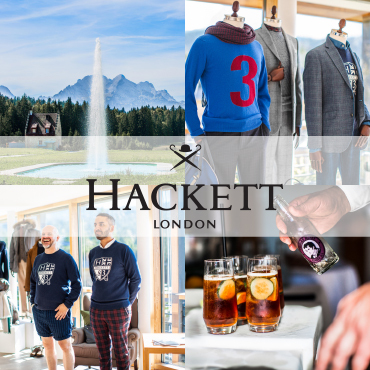 Key attendees wearing Hackett were Jeremy Hackett, Arnold Oceng, Craig McGinlay, Bill Milner, Jack Savoretti, Robert Konjic, Jim Chapman, Paul Sculfor.Drinks and cocktails were served by Beefeater and NYE Timber. Headphones aren’t just for listening. 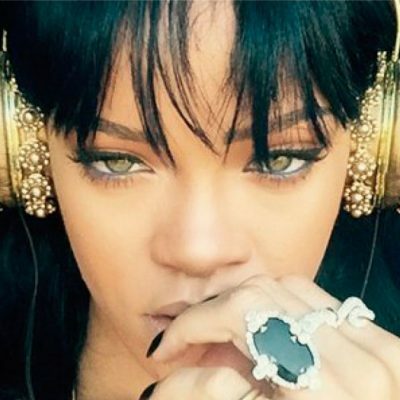 Caribbean superstar Rihanna enjoys wearing them as a golden, jewel-studded crown as well. That caused quite a sensation. 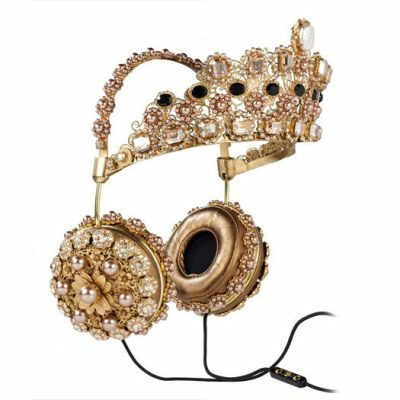 The 9000-dollar accessory, a joint project by FRENDS and DOLCE & GABBANA, was sold out just hours after Rihanna’s tweet. 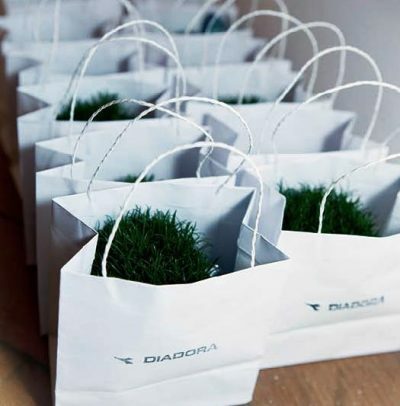 For the first time for more than 30 years, the Italian sportswear brand Diadora hosted a press day at the famous Prisco Haus in Munich. 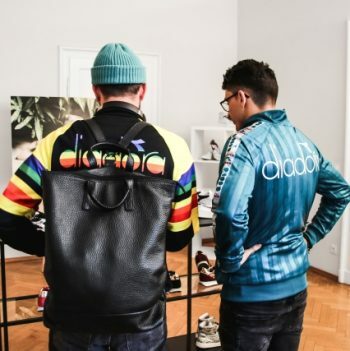 Showing their SS2016 collection Heritage and Sportswear as well as Sports to the print and online press under the theme "make it bright" - bright, not only in colors, but also in terms of cleverness. No matter whether the 90s pack or the sneaker "made in Italy", all sneaker were a highlight to the editors. On the 9th of September in New York City, Tommy Hilfiger presented his Fall 2016 Collection. 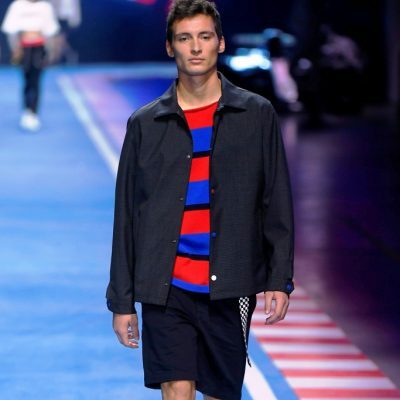 The event was hosted at the South Street Seaport, the “Tommy Pier” which featured fairground rides and carnival games, inspired from Hilfiger’s belief in creating fun and inspiring experiences that fuse fashion and entertainment. 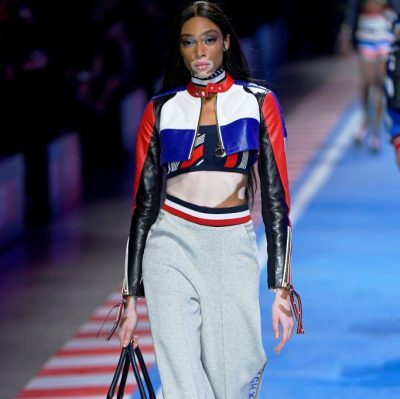 The show also marked the global launch of the TommyxGigi capsule collection, designed in collaboration with the international supermodel Gigi Hadid, who opened the show. The TommyxGigi collection celebrates Hadid’s relaxed, West Coast aesthetic fused with Hilfiger’s East Coast heritage and signature twist. The #TOMMYNOW runway was an interactive experience, giving people the opportunity to buy their favorite looks immediately, as all the pieces were available to purchase the moment they hit the runway through e-commerce and retail. “See Now. Have Now”. The online Campaign for the TommyxGigi Collection went live in Germany, Austria and Switzerland on the 10th of September. Hello Rafael Nadal! The eight-ranked tennis player in the world is making headlines off the court, all while stripping down to nothing more than his TOMMY HILFIGER underwear. On the 25th of August, the new international brand ambassador for the Underwear and Tailored collection celebrated together with celebrities and models the launch of the new worldwide marketing campaign in New York’s Bryant Park through an impressive tennis showdown in TOMMY Style. Nadal started out fully clothed – but promptly proceeded to remove his shirt, tie, and pocket square during the play – his final look of the new campaign. 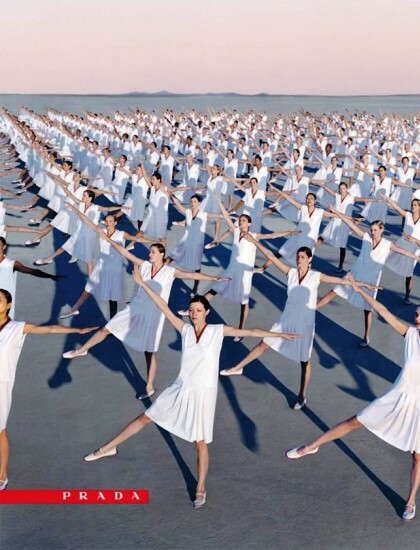 For this special occasion WHITE planned a cross media campaign in Germany, Austria and Switzerland with billboards and CLP networks in the metropolitan areas, accompanied by an online campaign and print adverts. Let the games begin! 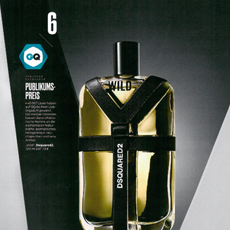 It's official – the expressive male fragrance WILD from DSQUARED2 was awarded with the prestigious GQ Care Award in the category Audience Award chosen by 40.000 GQ.de readers as the most popular male fragrance. 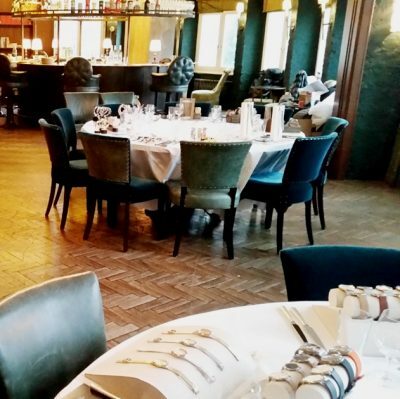 The male style magazine GQ awarded the best male products during an exclusive dinner in the restaurant „The Grand”, Berlin. 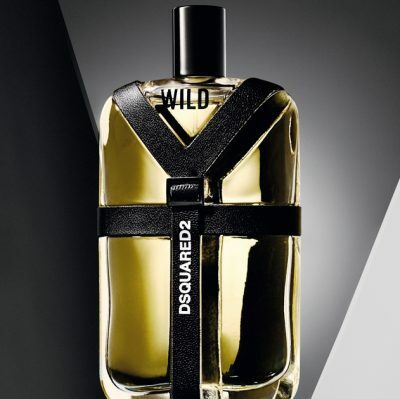 WILD is an evolution of DSQUARED2’s olfactory journey inspired by and founded in the elements of nature. Building on a pathway forged by debut scent He Wood and follow up Potion, Wild is a new fragrance chapter for DSQUARED2 that explores man’s desires and his connection to the natural and urban world that surrounds him. This enigmatic and covetable concept is also at the heart of DSQUARED’s DNA: the freedom for a man to express his sensuality and his deepest desires. 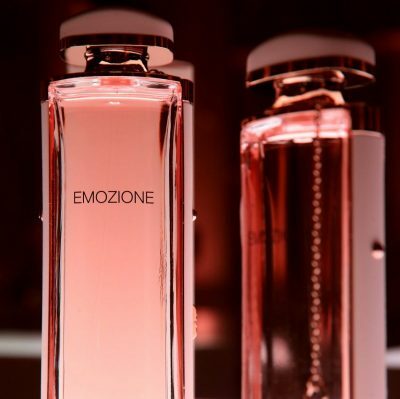 On the occasion of the presentation of the new fragrance for women EMOZIONE by Salvatore Ferragamo in Munich on 5th February 2015, the high society from Munich was present along with many VIPs as well as press and also the CEO of Salvatore Ferragamo Perfume, Luciano Bertinelli and they provided a flurry of camera flashes on the red carpet. An incredibly emotional fragrance experience was subsequently celebrated together with all guests in the Max-Joseph-Hall of the Residence. 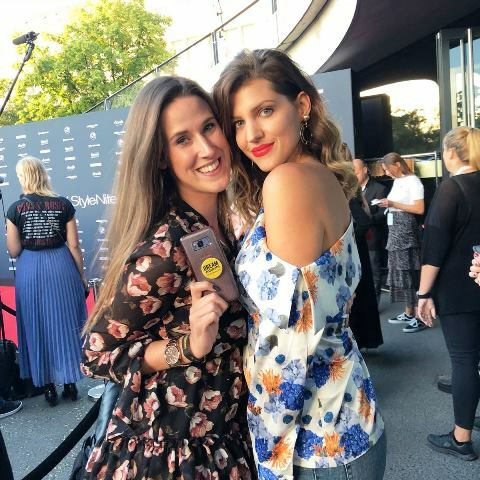 Among the guests were Claudia Effenberg together with her daughter as well as the model Alena Gerber, the German television presenters Katja Wunderlich, Viola Weiss, Alexandra Polzin, Michael Sporer and Alessandra Geissel. 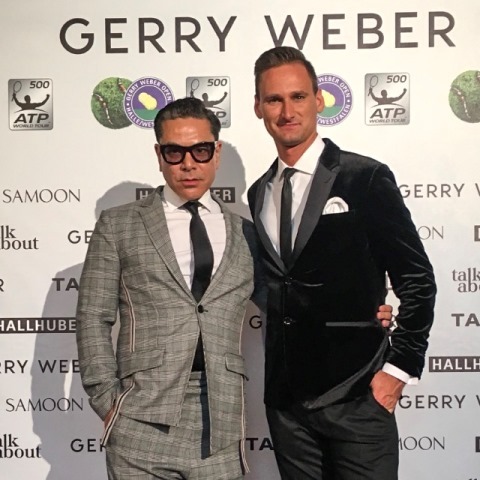 Moreover, Salvatore Ferragamo was also happy to welcome as his guests on this special evening the former tennis player Renata Kochta, the international top model Papis Loveday, the DJ Ron Magnus Flieger as well as Giulia Siegel, Peyman Amin and Doreen Dietel. A special eye-catcher was the logo wall on the red carpet decorated with gold chains. Many people with smiling faces were bustling about and also the CEO Luciano Bertinelli had himself immortalised in front of the golden wall. With the new fragrance for women Salvatore Ferragamo is addressing a new, more mature target group for the first time and creating an emotional and elegant fragrance experience. 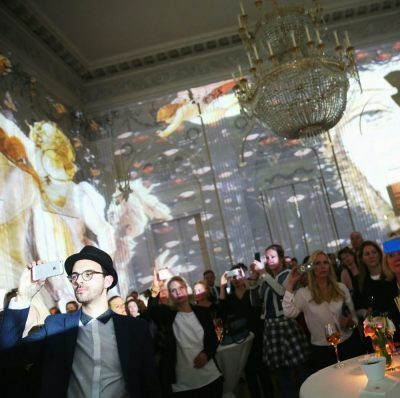 Yesterday evening was accentuated by a fantastic mapping – a projected image like something not from this world – on the walls of the Max-Joseph-Hall and the official TV spot of the new fragrance for women EMOZIONE. 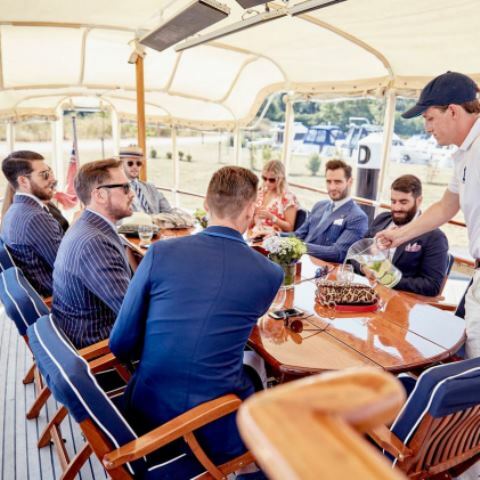 TOMMY HILFIGER presents a rockin’ new season featuring The Hilfigers and a very special wedding celebration. 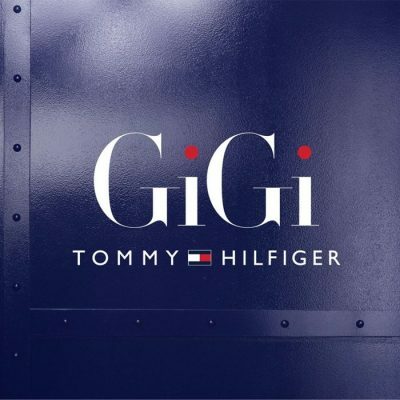 The global advertising campaign, "I DO HILFIGER" is currently advertised multimedia in print in the most relevant fashion magazines, online and out-of-home. 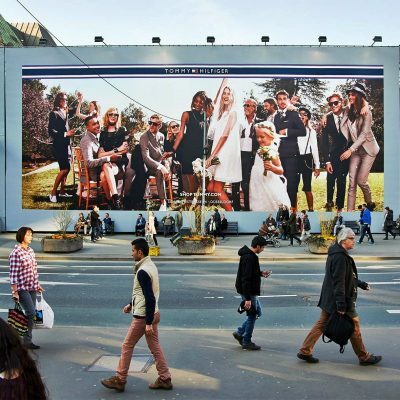 In Berlin, Düsseldorf and Vienna the campaign presented the bride, groom and the wedding guests in a relaxed party atmosphere, wearing the new sportswear collection, on large-scale megaposters on high-traffic locations placed nearby the stores. 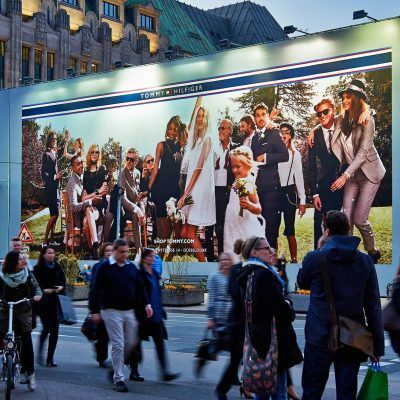 In Munich and Hamburg the out-of-home campaign was displayed prominent on more than 500 city light posters, showing how to rock the love, Hilfiger style. CALVIN KLEIN campaigns are known for starring some of the hottest names in music and fashion industry. This spring the American brand announced that Justin Bieber is the new face of CALVIN KLEIN Underwear and Jeans. He is posing with Lara Stone in the raunchy black and white pictures for the brand’s spring 2015 ad campaign. 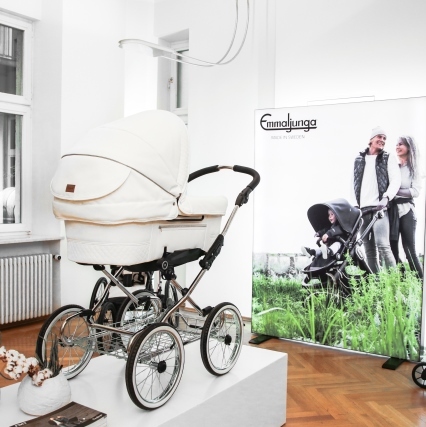 The authentic look of the ad campaign was presented in eye-catching megaposter in Munich and Düsseldorf. Both megaposter were installed in the city centers, directly where consumers shop and spend their leisure time. “Dinner is Served!“ This was the motto of the Berlin Fashion Week Lounge. 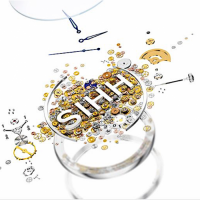 On the occasion of the start to the year for the international fashion scene from 19th until 22nd January, WHITE issued invitations to the press, bloggers and stylists to the Soho House Berlin on behalf of the Fossil Group. 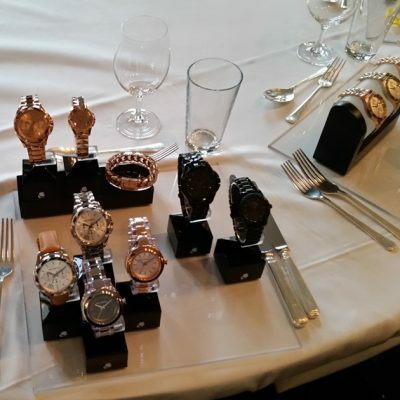 In a relaxed and pleasant atmosphere over 75 guests were presented the portfolio of the Fossil Group. 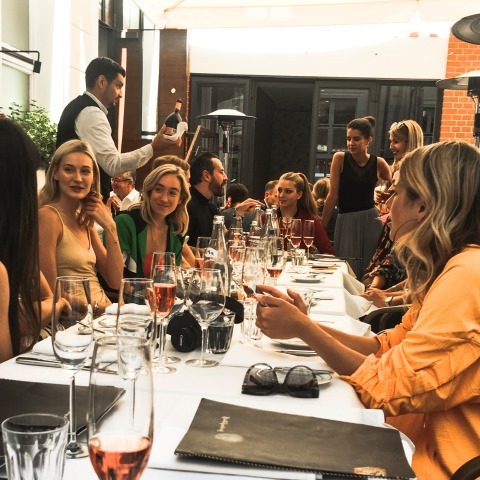 Over drinks and tasty delicacies, the fashion world had the opportunity to become acquainted with the product worlds of brands like, for example Emporio Armani, Karl Lagerfeld, Michael Kors and Fossil. 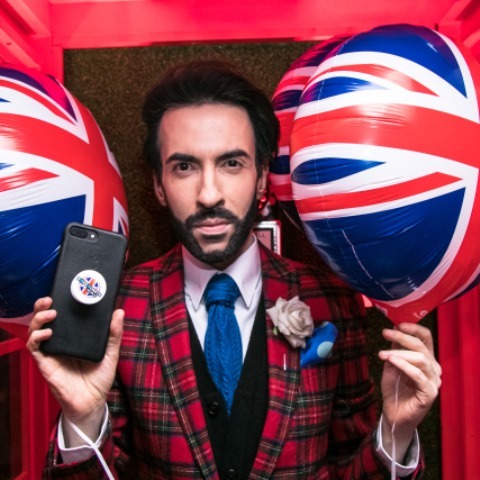 Two British design icons are already cooperating with each other for the second time. The fashion brand Paul Smith and the prestigious shoemaker John Lobb have now jointly issued three special edition styles. 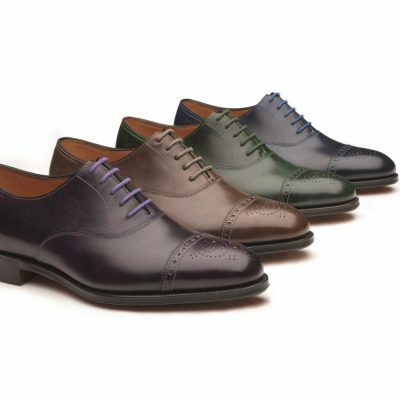 For instance, there are now the shoe classics Westbourne, Willoughby and Lucca – quite in the style of Paul Smith – in four exciting colours. 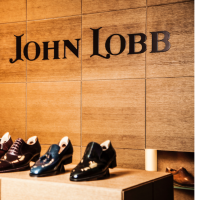 They combine the quality of John Lobb shoes with the humour of Paul Smith. 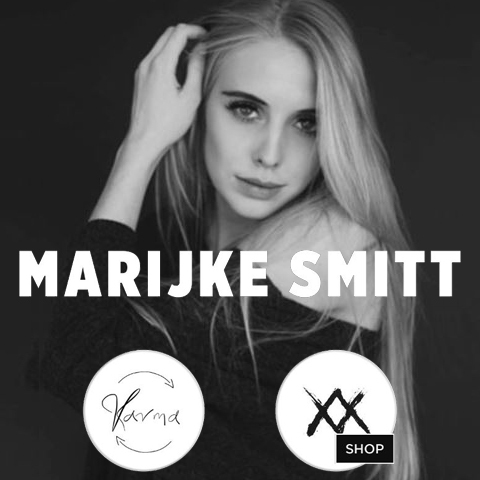 The models are available online as well as in renowned fashion houses throughout Germany. 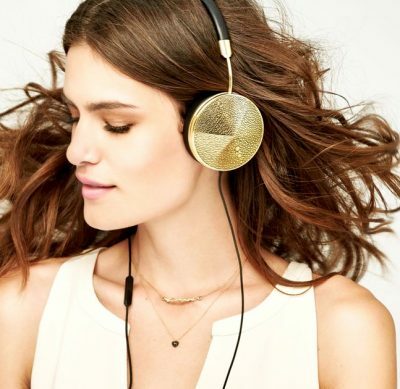 Is there a better accessoire for the upcoming festival season than the most stylish headphones from California? 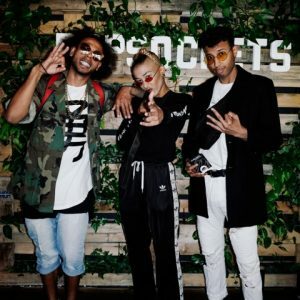 Founded in 2006 by a group of creatives, musicians, athletes and artists, FRENDS is a collective that believes in challenging the status quo, and shares the passion for changing the relationship between sound and style. Their innovative line of headphones seamlessly fuses timeless design and the craftsmanship of yesterday with a premium sound of tomorrow. 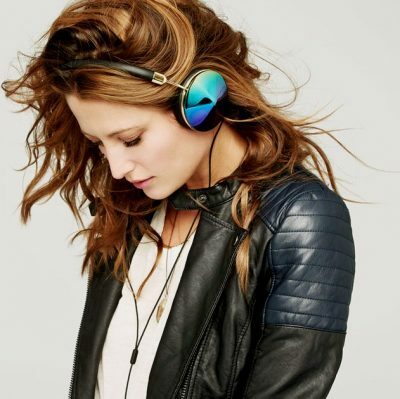 Rethinking headphones as a whole, FRENDS believes that if you want to have a different product, you have to have a different process. Blue is a color related to dreams, wisdom and serenity three synonyms, which highlight the new BVLGARI fragrance BLU for men and women. WHITE was responsible for the perfumes advertising campaign from 2000 to 2004. As per usual, we did what we do best for our premium clients and promoted BLU through print campaigns in the most exclusive lifestyle and fashion magazines, and in point of sales where clients were welcomed with magnificent posters. 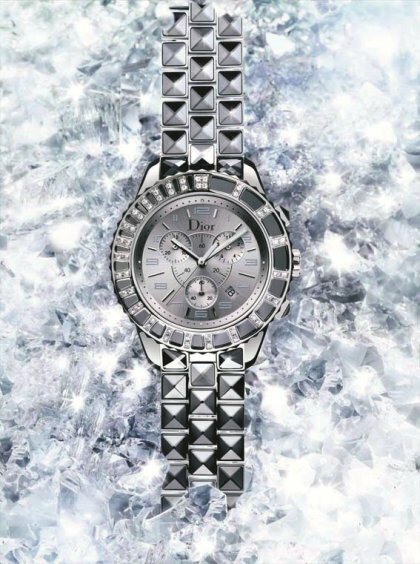 Due to the success of the fragrance, the extension line BLU NOTTE was launched in 2004.